Mixed used condition- a few with faults- hinged; crease; paper remnants on back. These fees will be added to invoice. Display sheet is for photo purposes only and is not included in the sale of this item. A few with minor fault. 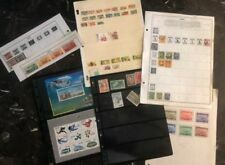 Complete used set as pictured. There are no exceptions. 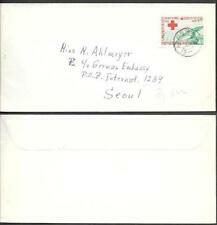 Cover with tears and creases (one stamp may have fallen Off the Cover). Mixed used condition- may have faults. Display sheet is for photo purposes only and is not included in the sale of this item. Condition as per photo. 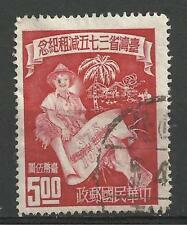 China Taiwan Sc#1061, Flying Geese, USED, TONED. These notices are not generated by us. Automatic Unpaid Notices. THE STAMP YOU SEE IS THE ONE YOU WILL RECEIVE. And go to I think the 1930s from my research. all are hinged and cancelled. there is approx. SENT FROM TIENTSIN, CHINA TO SAN FRANCISCO, CA, USA. SENT VIA HONG KONG. China PRC 1960 S38 Chinese Goldfishi Block of 4, CTO used with Corner margin, Never hinged. "Peter Rabbit" 82 yen issued in 2015 (Scott # 3783 a - j). 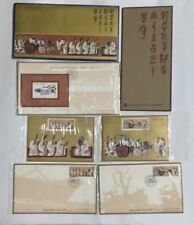 A NICE SET OF PEOPLES EPUBLIC OF CHINA SET (214-221). I COMBINE S&H. 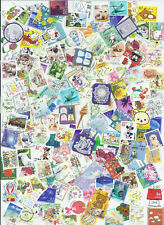 Every lot is different and two or more lots can be ordered with little to no duplication between lots. 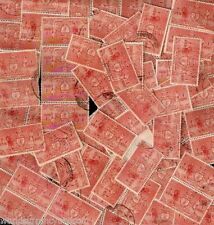 I provide high resolution images to aid you in assessing the condition and identity of each stamp sold.